I took this pic with my phone somewhere south of Kamloops on Highway 5. Last week I drove to the west coast, which meant traversing the province of British Columbia from my home in Calgary, which meant driving through a lot of mountains. And I do mean mountains. 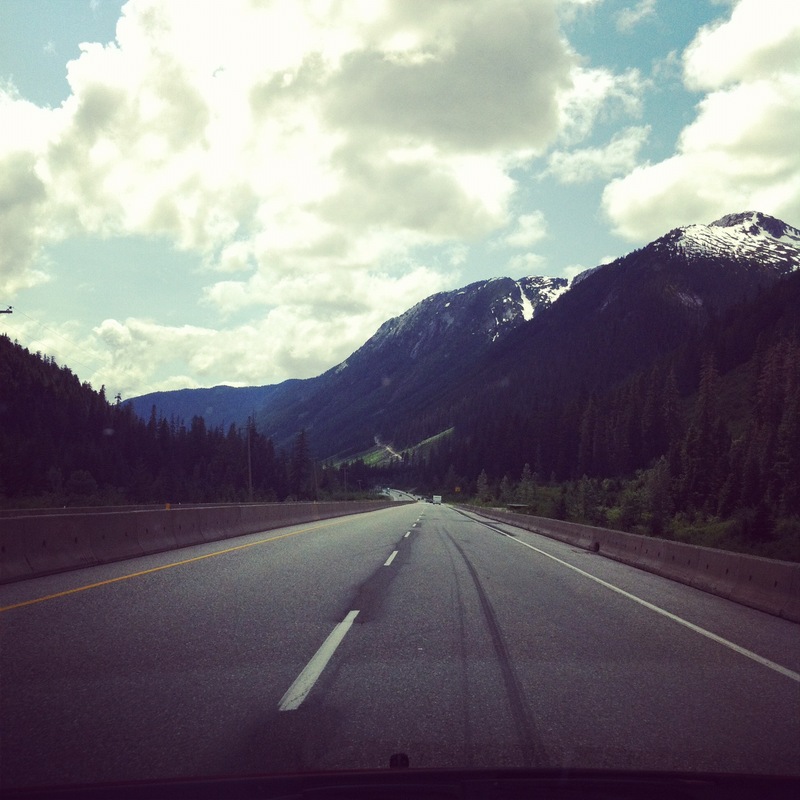 My photo above was taken through the windshield somewhere on the Coquihalla Pass (Highway 5) south of Kamloops. It’s meant to give a sense of the grandeur of British Columbia which is so relentless and intense it constantly takes your breath away. It all began with a cough. I somehow picked up the cough while visiting Turkey a few summers ago, maybe it was lurking in the Aegean Sea and I just happened to pick it up. Do what I might, short of quitting smoking, I couldn’t get rid of the cough. It went on for months. One day I happened to be in our local health food store (Community Health Foods on 10th Avenue SW in Calgary) and while in the homeopathy section noticed a cough remedy. I had tried everything else and nothing had worked so I decided it was worth a shot. In short, I bought it, took it, and a day later my cough was finally gone. I was amazed. In fact I was so amazed that I decided I really should find myself a homeopathic doctor. The next day I went out literally looking for one. It was my mission. While I was having my morning coffee at Caffe Beano, I was approached by a woman who asked me if I remembered her. The woman was Linda Miller. Linda is an opera singer. Her claim to fame was as the singer of the aria in Martin Scorsese’s Age of Innocence. Years earlier we had toyed with the idea of me writing a play for Linda that would highlight her skills as a singer, perhaps something we could tour through the schools to introduce children to the world of opera. I even ended up sitting in on a private coaching session in Montreal. It was an idea we never got off the ground, sadly. The coincidence, the synchronicity, the serendipity of the moment whatever you choose to call it was so eerie that I got chills up and down my spine. You can’t believe that such things actually happen until they do and then you get a sudden suspicion that maybe there is an order to the universe after all. Obviously, I put myself in the care of Doctor Miller. (For those in the Calgary area who are interested, check out the website: xerion.ca) As part of our initial consultation, it came out (among many other things) that I was suffering from a serious fear of heights, in particular driving over bridges of any dimension and elevation. The remedy, for such it is known as, that Linda gave me took care of a lot of things that were bothering me. But since that time, I have given up driving, and so had no clear indication that my fear of heights and bridges was “cured” or indeed that driving through mountain passes would be even possible. But it was. I had a mild case of the heebie-jeebies a few times, but check out the video and ask yourself, Who wouldn’t? By the time we were driving over the bridges in Vancouver to Horseshoe Bay I was actually peering at the view down below and it didn’t bother me at all. So you can see that from swimming in Turkey leading to a cough leading to a reunion with an operatic friend with a new mission in life to a drive to the coast, there’s a wonderful inter-connectedness to all of this. Here’s the video which is actually taken along the Kicking Horse Pass. Looking at it, safe at home back in Calgary, I still can’t believe I actually made that drive! Where you actually in the 18 wheeler? That takes more guts than driving it in a car! I have been to BC on 3 occasions and will be heading back in less than 3 weeks. It is amazingly beautiful, around each curve is a sight more beautiful and breathtaking than the last. I will be heading farther north than Kamloops, up to Mackenzie and beyond. So looking forward to it, and packing plenty of memory sticks for the camera. Wow, that sounds awesome! I just found that clip on YouTube, we drove through there in a Prius which was fine. I’m not sure I’d want to be that high and be able to look down over the guard rails. Well, have a nice trip! Thanks for your comment. The kind of “coincidence” you describe always, when they happen in my life, are taken as an indication that I’m right where I’m supposed to be. Even when I’m not liking the place much. Also, glad to hear homeopathy addressed your issue successfully. It was quite the thing. And the more I learn from Linda about homeopathy the more it makes sense to me.